but unfortunately I am not sure all of the homeless want IDs. Hi RB, Thanks for your comment. I agree with you that providing free IDs to homeless people is a good idea. About whether all homeless people really want them… While I don’t know every homeless people, after 20+ years, I’ve met many homeless people, probably thousands throughout the State of California and elsewhere. I do know sometimes a person can feel so much without hope that the person cannot figure out exactly what they want. In that state, things are often a jumble. Add to the psychological feeling of being without hope, the physical reaction of possible mental confusion caused by an inadequate diet due to lack of food and possible lack from sleep due to inconsistent resting habitats, a person can get quite off their game. They might even say they don’t mind being homeless or they don’t want ID. The truth is without ID, a person will never get out of homelessness. The only thing I know you can get without ID is food stamps for 1 month and then you have have to produce ID for that second month. I hope you will respond. I’d like to continue this conversation with you. 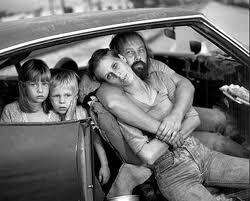 Some percentage of the homeless have other problems besides the need of shelter. There are mental problems , family problems and legal problems, they are avoiding. Having no ID lets them avoid the grid and their past. My own brother rarely traveled with an ID and often used the lack of identity to avoid his past while creating a fictional present. He routinely gave false identities, usually that of some high school friends. I would think it might be important for the homeless to actually receive a benefit at the time they get the card, to link the card with a good outcome. I am impressed with how insightful your comment is and how much compassion you have. Rather than getting angry with someone for not quite being like everyone else, you understand that there are mental problems and other issues that can affect a person. Believe me when I say that not many people have your understanding. I appreciate the time you have taken to reflect and understand. Thank you. I really like your idea of a person getting a benefit when they get their ID as an incentive to get an ID. I think the system is reversed right now and that you have the right idea – make everything positive to encourage participation in programs, even society. Since you’ve obviously thought about this, I’m wondering what benefit you might suggest for a person to receive, especially a homeless person to receive, upon getting their ID? I am so glad this is happening as i have worked directly with the homeless and currently work with homeless vets. i have given many 8 dollar ID vouchers and soon they will be free … it would be really nice if this can be across the US as I have learned how to obtain BC’s in many states. 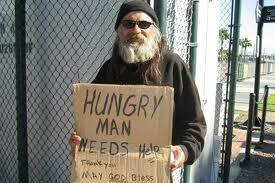 and one other state i think Alabama has a free to homeless waver. don’t quote me though. Good Job!!! I am saving and posting this article for my clients. Thanks for your comment and kind words. And thank you for all you do for homeless people and homeless vets, in particular! Where do you currently work? 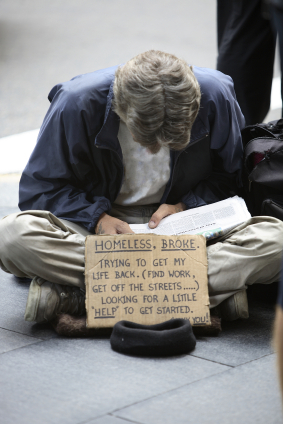 Are you the person chiefly responsible for getting homeless people ID? Thanks also for the possible tip about Alabama giving free ID to homeless people. I’m going to look into that because I would like to write an article about ID nationwide. I also interested in any other information you may have about IDs nationally. Are you aware of the individual state listing published by the Center for Disease Control? If you’re not aware of it, you can google it and get the information about all 50 states immediately. We print out the list annually and use it as our chief reference text for phone numbers and website addresses. In San Diego, we run the Center for Justice and Social Compassion ID Clinic each year at Project Homeless Connect. In Los Angeles, we run the E-Z I.D. Clinic every Saturday in the Santa Monica Public Library Pico Branch. At some point, it would be great for all of us doing ID for homeless people to get together just to talk about common issues and solutions to challenges. -if you’ve had a California DMV ID or license before, you can get a DL933 No Fee form from a service provider and take it to DMV where you can get a free ID with just your thumbprint. If you haven’t had a California DMV ID or license before, bring your certified birth certificate with the DL 933 and you can get your DMV ID. -regarding a Social Security (SS) card – often knowing your SS number is sufficient. However, with photo ID from DMV, you can get another SS card. Go to http://www.socialsecurity.org for further information about the kinds of documents they will accept to get your SS card. Hi Winifred, Question: have you applied for general relief? If so they will give you a mailing address. Once you apply for food stamps , you can get 1 month without ID. Maybe your GR address will work for them – just ask them. But before going to get any benefits see if you can get a mailing address: suggestions include – going to your local church or homeless service provider and ask to be able to use their address for your mail. That way when you go for GR or food stamps or any benefit you can bring your address. I don’t know where you are living so my answer is kind of general but it should work for most U.S. places.